Stocking stuffer alert!!!! 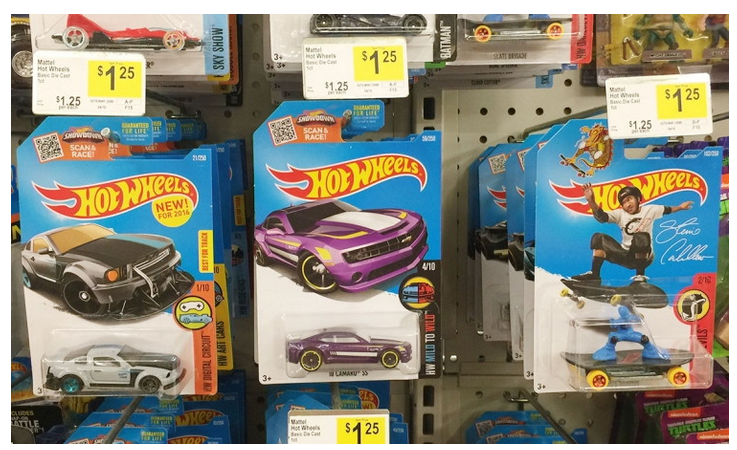 Stock up with a cheap and easy deal on Hot Wheels or Matchbox cars at Dollar General! All Hot Wheels or Matchbox cars are on sale for $1.00 and buy one get two free in the new 3-day sale, no coupon needed. Look for these on an end-cap near the toy aisle. Total $1 or 33¢ each after B1G2 FREE deal!